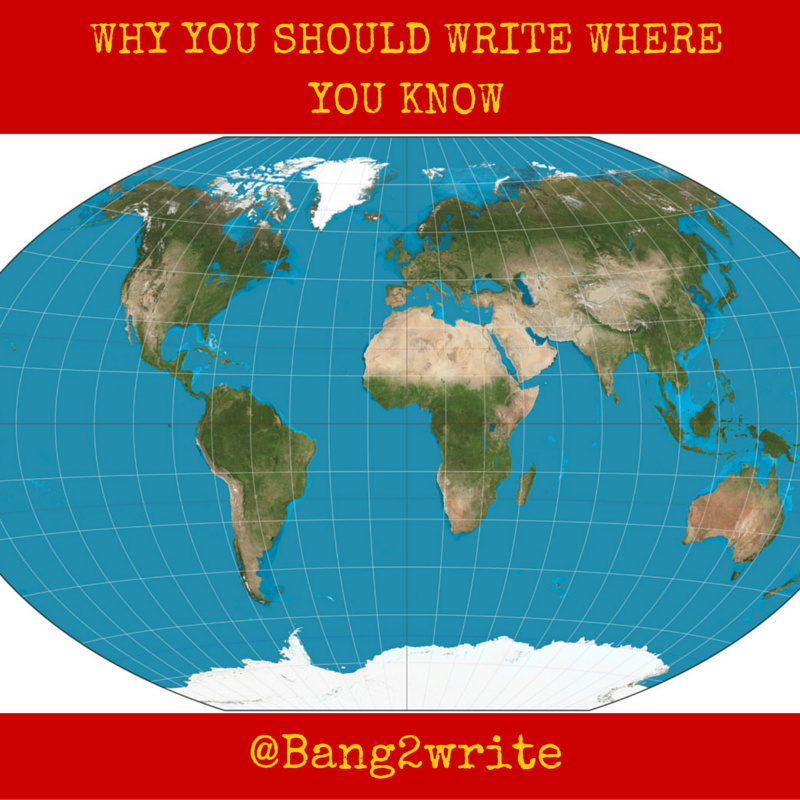 Everyone’s familiar with the writing adage “Write WHAT You Know”, but not everyone thinks about how WHERE they know can help their writing, too. So when Richard suggested looking at storyworld in this way, I jumped at the chance for a guest post … Over to you, Richard! Traditional writing wisdom says writers should write **what** they know. ‘What’ you know informs the storyline of what you write. But that maxim overlooks the fact that the action (and the inaction) of any story occurs in a setting. That setting often has such a fundamental role in the story that it can assume the function of a character. Whether writing a crime novel or a screenplay, the writer who ignores this does so at the risk of reducing or even eliminating the credibility of the story being told. When the setting fails, the action IN the setting also fails. Actual case in point: a crime drama set around a tobacco plantation. In one crucial scene, the writer had a wildfire racing through the tobacco fields, stalemating a tense encounter between the protagonist and the antagonist. An exciting scene, but its inherent impossibility completely destroys the credibility of the scene, and of the writer. Why? It would be obvious to anyone who has ever seen even so much as a picture of a tobacco field that they are kept well-cleaned of grasses and weeds, and the big, green plants themselves could not be made to burn short of dropping napalm on them. There is just no way that a grass and leaf-fed wildfire would go through a tobacco field, and the writer obviously was writing neither ‘where’ he knows, nor what. The setting of a crime drama can be as broad as the middle of the wide open ocean; as focused as the swimming pool in “Diabolique”; as confusing as the car-parks in any number of television and cinema presentations; or any combination of these characteristics. But in all cases, it is the essential and detailed nature of the setting that determines the actions that are possible and so it essentially directs the actions of the characters that function within it. In the two crime dramas that I’ve authored (Flayer and Tallest), the setting is the area of southwestern Ontario, Canada, in which I have spent most of my life. I know the general area very well and some parts of it intimately. This facilitated action scenes that make sense. Anyone familiar with the area would be able to read either of those two works and identify that the action in one scene could be taking place on this person’s farm, or on that road, and so on. Other locations that I do not know so well are more general in description and function, but crucially do not exceed my actual experience of those places. 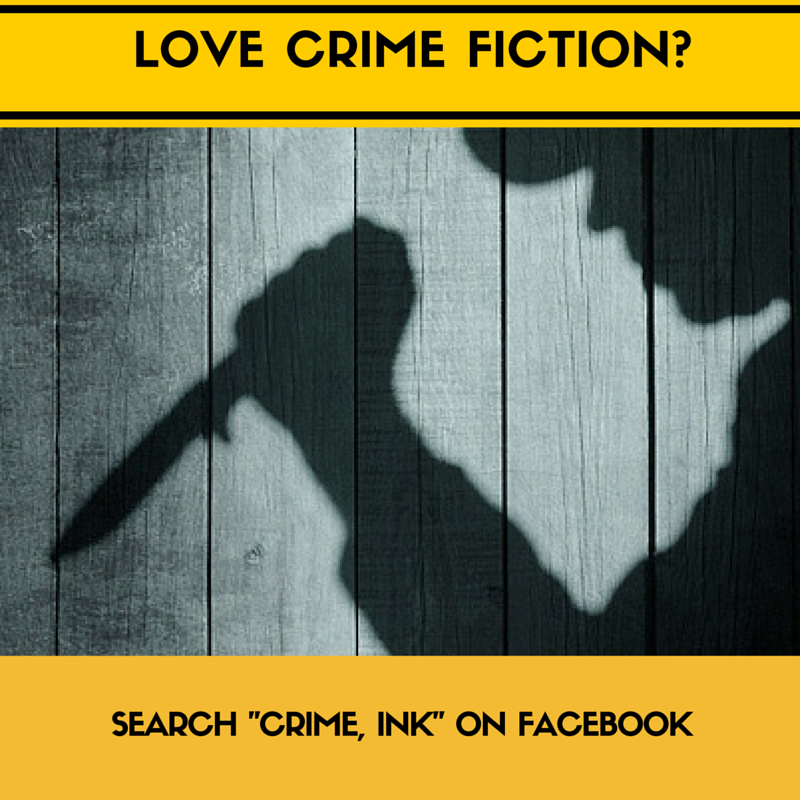 In order to extract the most value from the setting, especially in a crime drama, the writer must have intimate knowledge of that setting, whether it is real or imaginary. I argue every little detail that can interact with the other characters should be well-known to the writer. No writer knows any setting so well as the one in which they live from day to day, unless it is an imaginary setting of his or her own “writer-as-god” design. In such a setting, details can be manufactured to suit. This no longer applies when the action is set in a real location. For those stories, the writer absolutely must know the place and the details of its structure. Particular actions that take place in both Flayer and Tallest are actions that I have seen or experienced first-hand in that setting, and that experience informs how they occur and how they are described in the stories. The finished representation need not be a faithful reproduction of the actual location, but the fictionalized location absolutely must function in the same way and reflect the nature of the actual location at every level of detail if it is to be credible. It’s not that the actual specific locations of Flayer and Tallest are the only ones where the actions could take place. Their intrinsic value comes from the fact that I know and understand their relationship to each other in the area and so can orchestrate and choreograph the action within them to suit. Were they to be translated from their novelization format into a screenplay, it is that relationship that would be translated and made applicable to any location. There is no requirement that the action must take place in the exact locality that was used in the books. But there is an absolute requirement that the relationship between the action and the setting must be retained. I could have written the stories to take place in a location such as New York or Birmingham, but since I have never been to either of those great cities millions of readers would recognize at once that I was making up scenes and locations. Even if I were able to reproduce the location accurately, with the correct streets and street views, the setting would still not ring true. It would lack any sense of the ‘feel’ of the location that would be familiar to those same readers. I wrote where I know, because that’s something I can write honestly to deliver an authentic feel for the setting and its role in the story. That authenticity is what the writer must deliver, whether it is to readers or viewers, and it can only come from writing where you know. BIO: Richard Renboog has perhaps the most eclectic background possible for a writer to have, having done just about everything from the cutting edge of scientific research to cutting grass in a trailer park. This lifetime of experiences informs both what Renboog writes, and where he writes. He resides now in Tillsonburg, Ontario, Canada, which will be the setting of his next crime novel. Find out more at his WEBSITE. Richard, thanks so much for your thoughts about this great subject. I completely agree that place is always a crucial supporting character, and too often writers I work with overlook this. Even when they do describe a place, it often lacks distinct details that make that place unique, and I always encourage people to mentally inhabit a space and describe it using all the senses. The sense of smell often gets overlooked, yet places always have smells, even if it’s the notable absence of a smell. I do believe, though, that good writers can write successfully about places they don’t ‘know,’ places they’ve never been, even real locations. In fiction, fictional details can be added to real locations, just as they can be added to made-up worlds, and writers can learn enough about a place through research to convincingly convey a realistic place. Just as writers can embody any kind of character, they can also embody any place. It’s certainly a benefit to have physically been on location, but it’s not an absolute necessity. I agree completely with your bottom line: “authenticity is what the writer must deliver.” Yes!